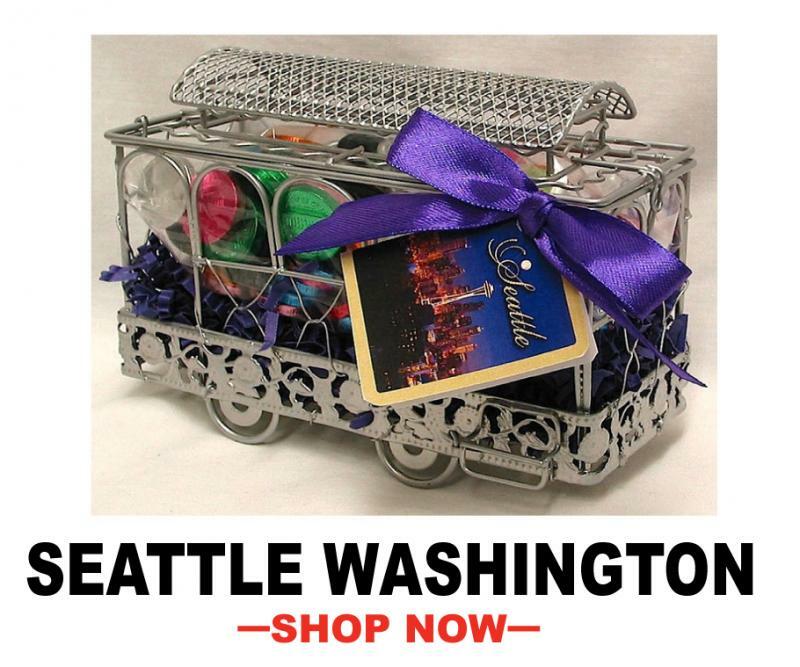 What better way to have a souvenir than one with a savory taste? 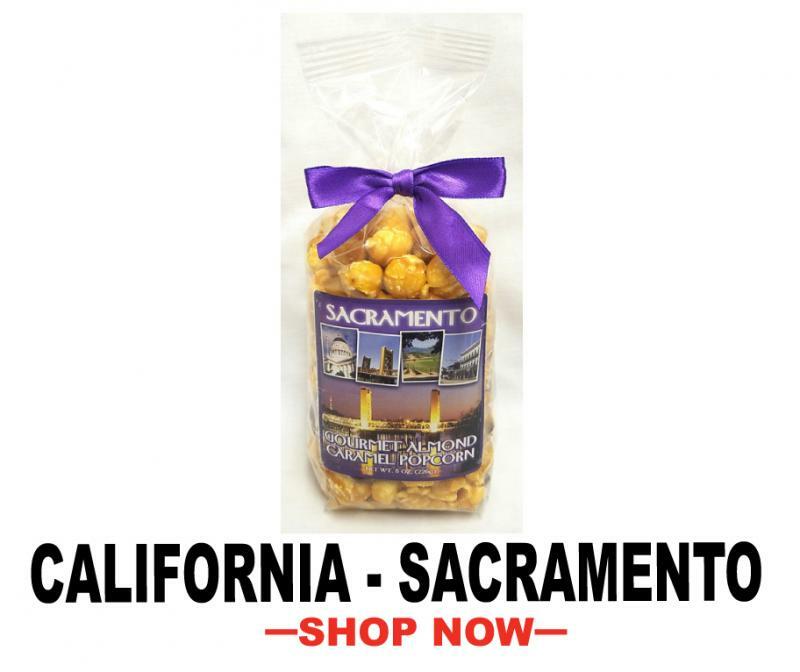 Las Vegas Sweets features chocolates, pretzels, popcorn and other tasty food and treat varieties with packaged labeling for big name cities! 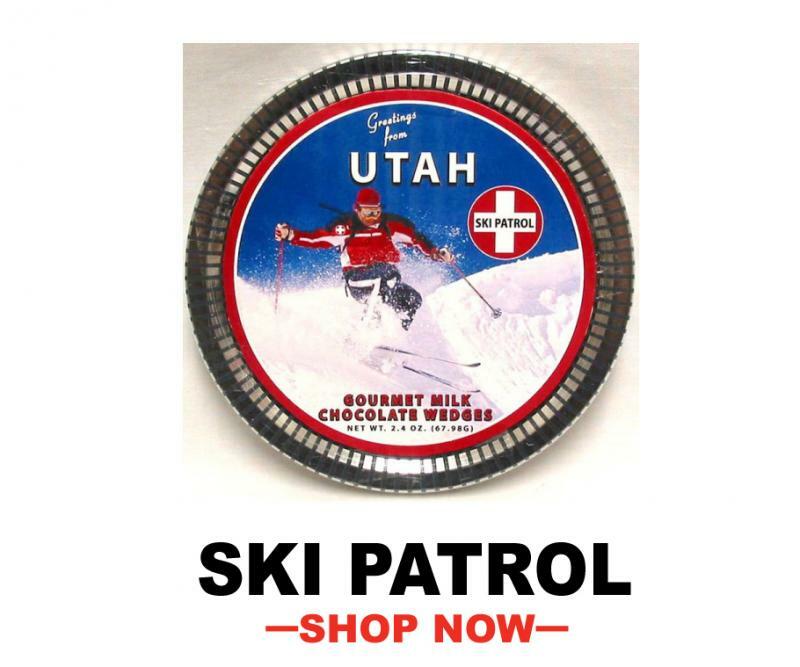 This is a great way to take away something from your vacation or even places you're just passing through! 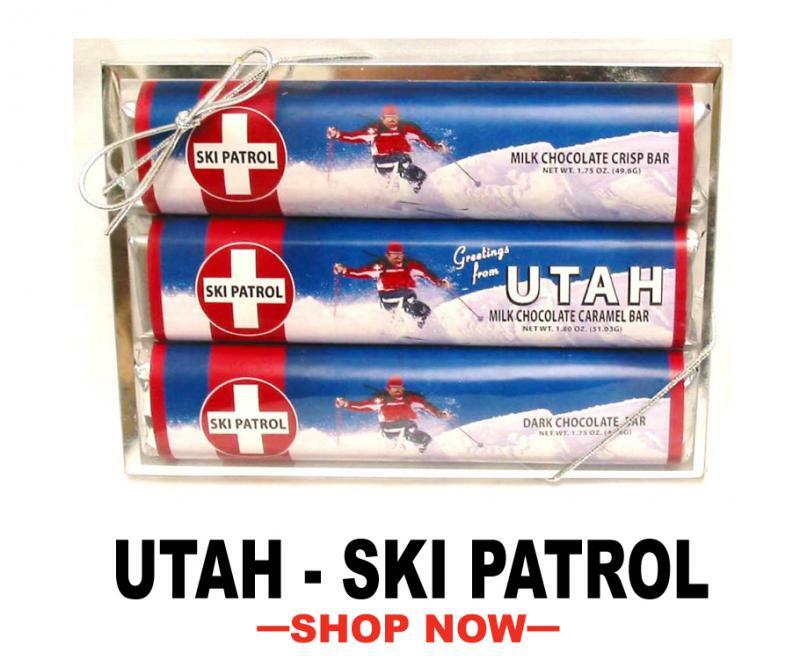 Plus, these tasty souvenirs make the perfect gift for loved ones back home. From the snow-capped Alaskan mountains, the spectacular northern lights, and the green expanses of the Alaskan wilderness... memories are waiting to be made. 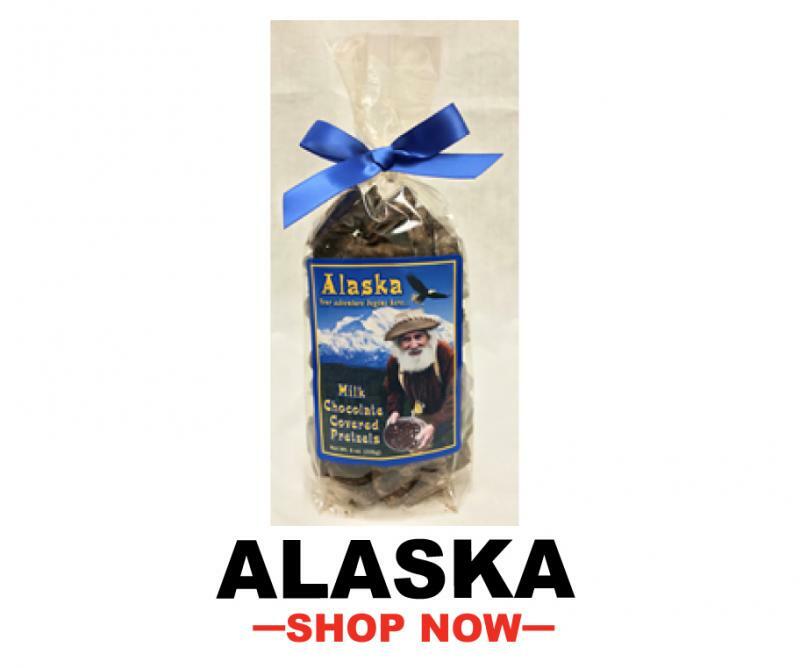 What better way to commemorate and savor the memories, than with our signature line of Alaska Sweets -- Sure to warm your heart with this great souvenir line! Families visiting the aquarium are sure to enjoy the tranquility and majesty of observing marine life. 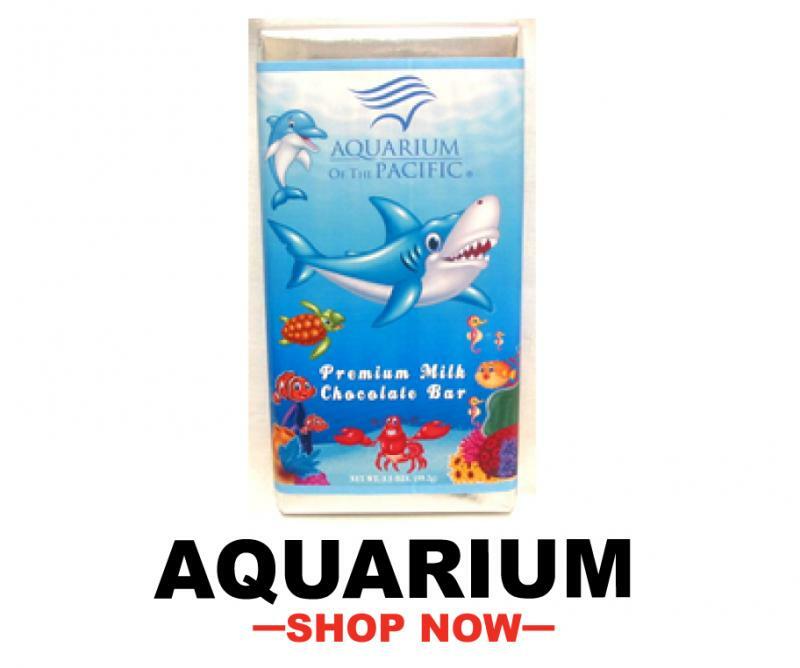 Our delectable line of Aquarium Sweets are a great way to enhance any experience. 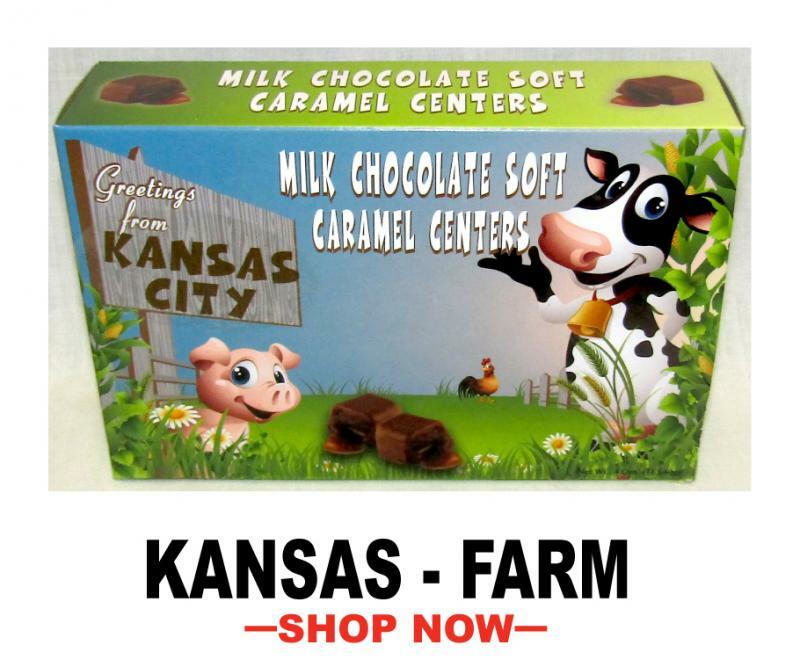 Our delicious candies are sure to go over swimmingly with every customer! 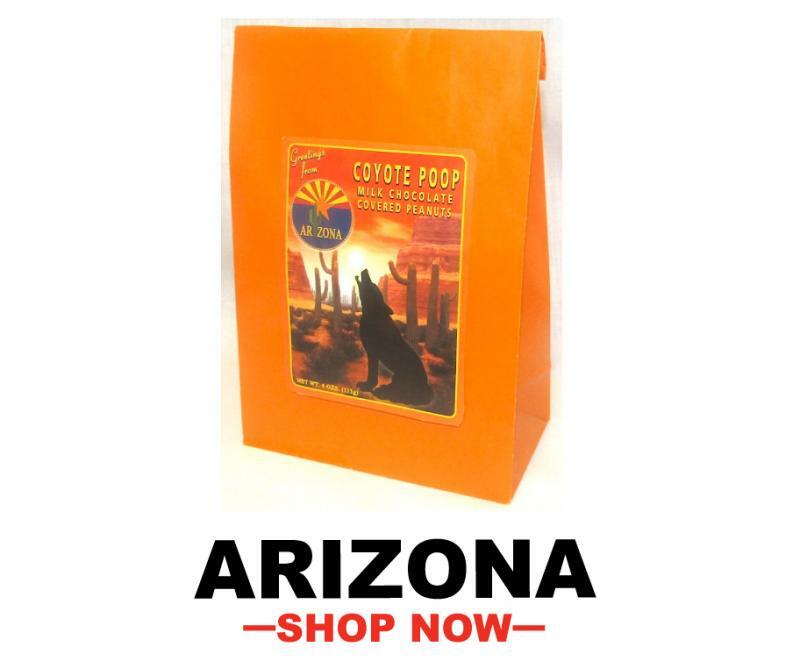 Our signature line of decadent Arizona Phoenix sweets, are a great way to celebrate visiting such a gorgeous place! 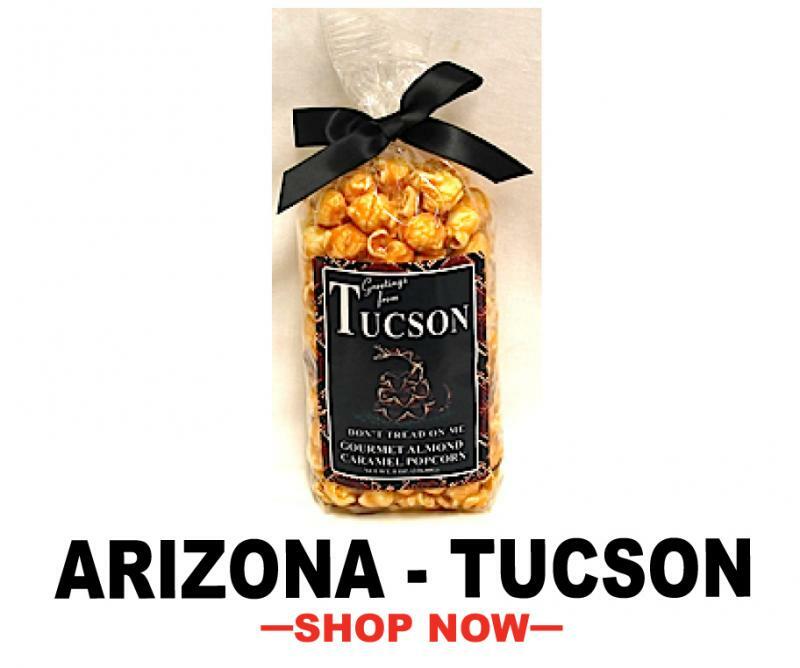 With flowers blooming all year long and the major hub of activity and tourism at Phoenix International Airport, our line of exclusive Arizona items are sure to be a hit! Atlanta is home to the busiest airport in the U.S. - And for good reason! Access to fine dining, nature, theaters, art, and more can all be found within the beautiful city of Atlanta. 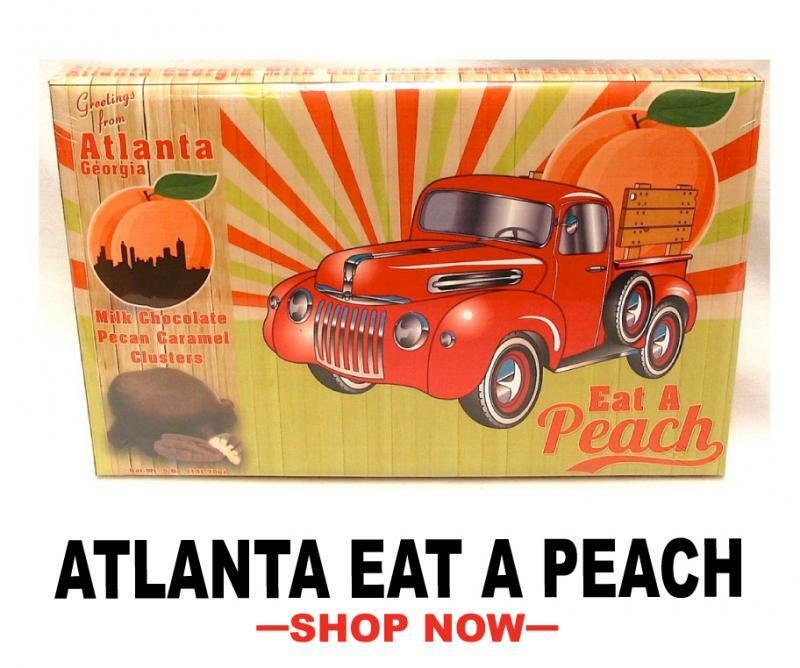 Our signature line of Atlanta Sweets are sure to appeal to any visitor or resident, and make their stay even sweeter! 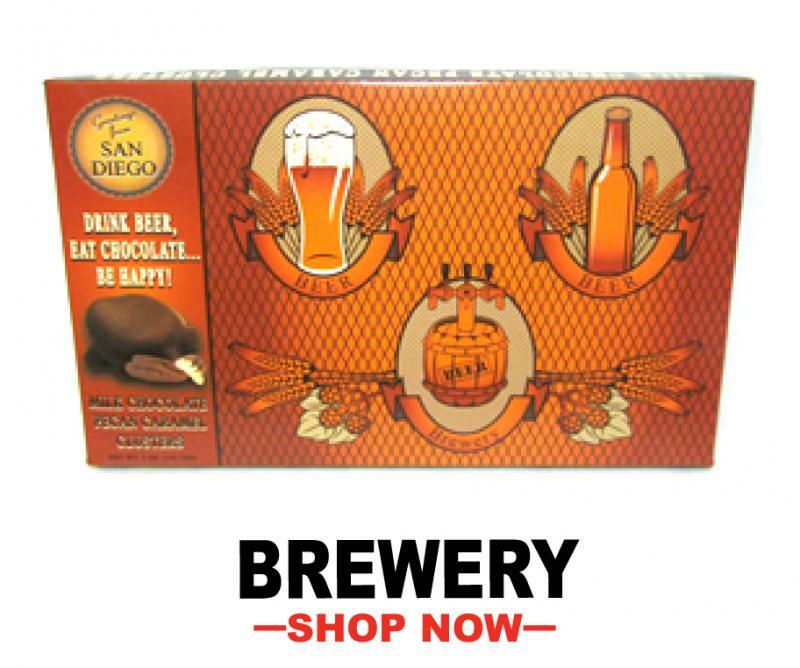 Our exclusive line of Brewery Sweets are the perfect item for any gift shop or merchandiser center in your brewery. 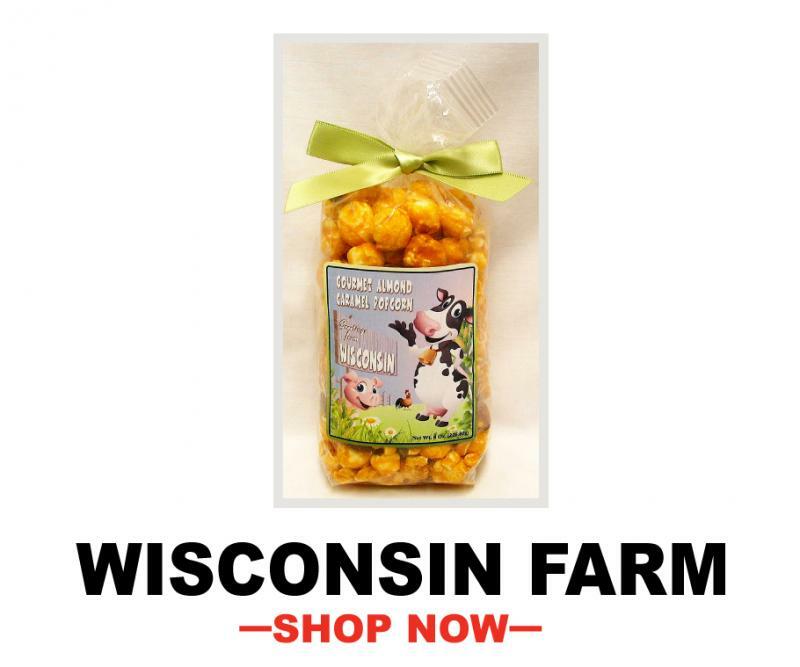 As visitors tour your facility, they'll LOVE our line of delicious Brewery Sweets. 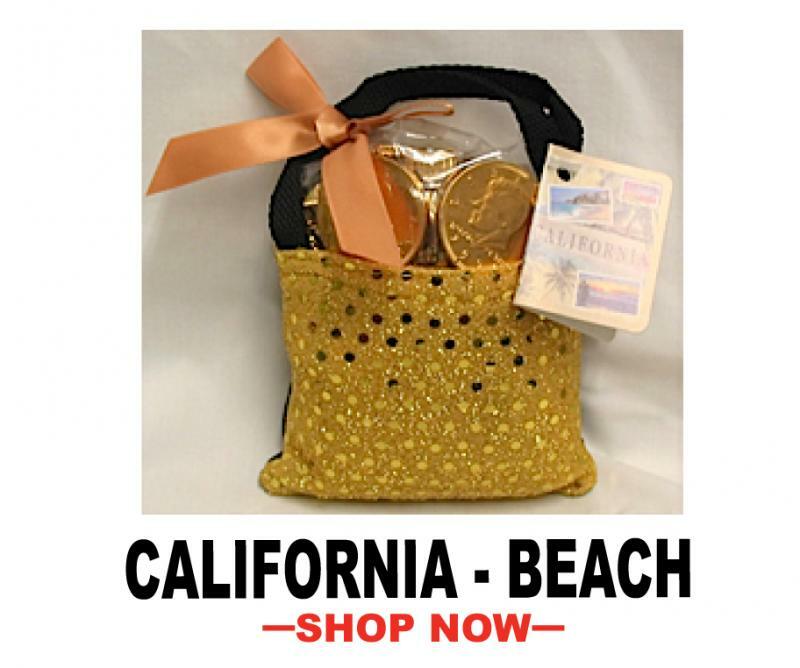 The chic and elegant style of California is perfectly captured in our signature line of California Beach Sweets. Delicious and enticing, these gourmet items will be a hit! Escape with your laptop to the notorious reLAX lounge, or enjoy the best panoramic view in town while dining at the Encounter Restaurant! People try to hurry their experience at LAX, but it has a lot to offer! 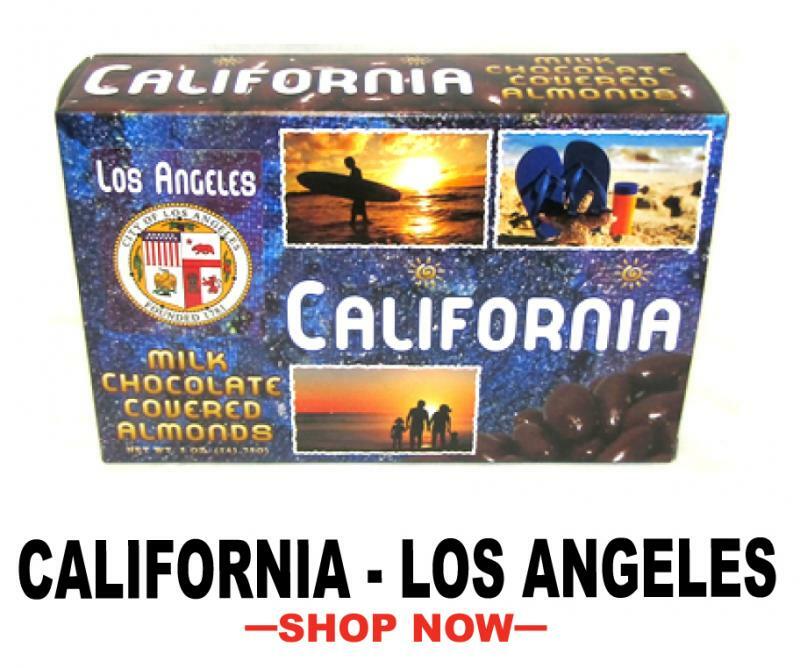 Our signature line of California Los Angeles sweets, are a perfect way for anyone to enjoy their visit to the most well-known international airport in the country. 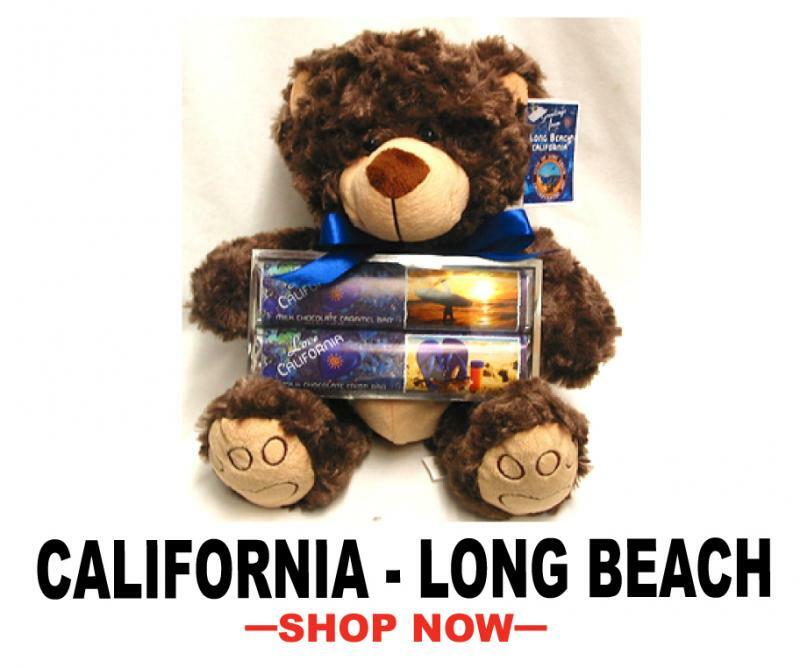 Whether you're riding your bike to the nearest coffee shop, or your headed to enjoy the views, and restored art-deco bar at The Queen Mary... Long Beach is a world apart from L.A. Our exclusive line fo Long Beach Sweets, will make that ocean breeze even cooler! 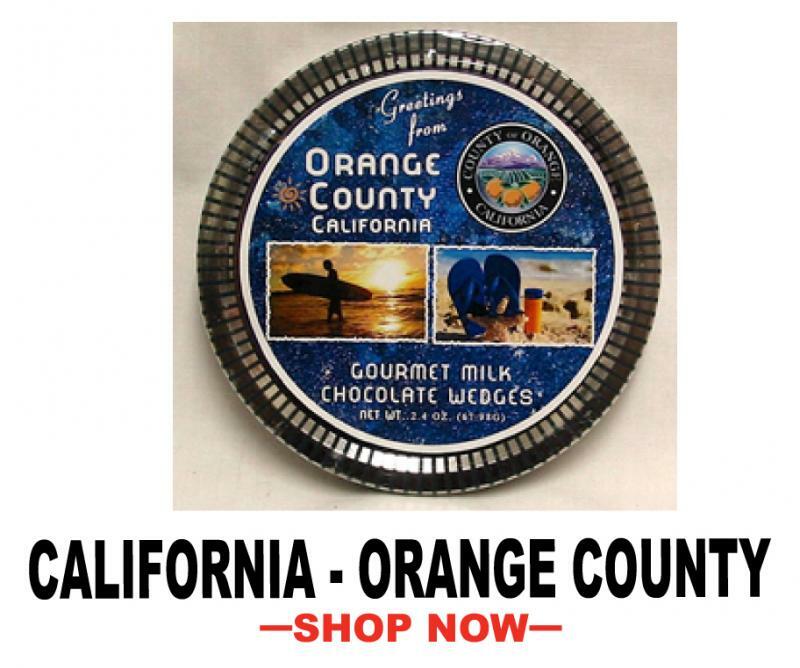 After an invigorating hike at Crystal Cove State Park, or a family outing at Disneyland Park - Anaheim... the only way to capture a piece of that happiness, is with one of our signature Orange County Sweets. Expertly made, and absolutely delicious - our signature sweets taste just like the sunset on Hunting Beach Pier! From spas, golf and gardens to museums, nature events and famous sights, you are sure to find something fun to see and do in this scenic desert city in California. 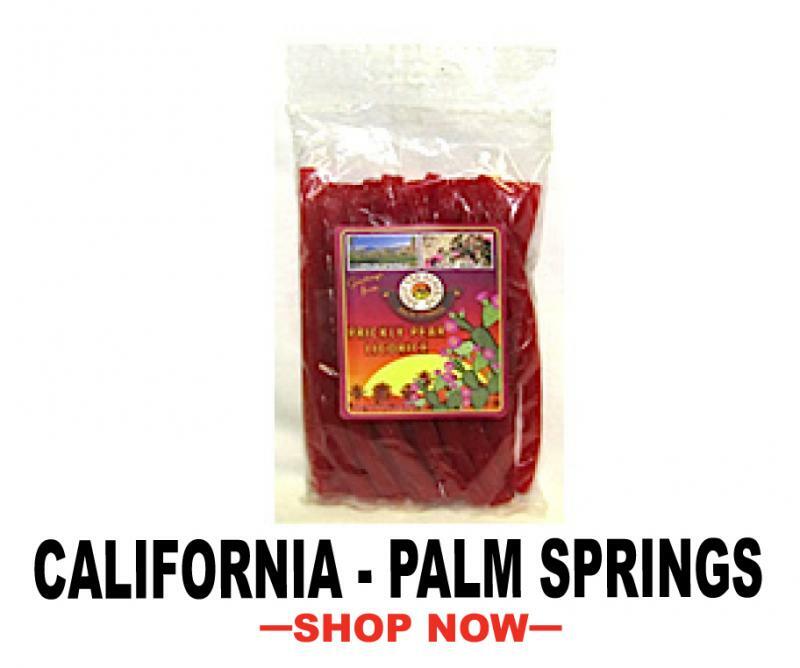 Our exclusive line of Palm Springs Sweets, are the perfect addition to any local boutique or business on Palm Canyon Drive. Customers will always remember the sweet time they had in beautiful Palm Springs! 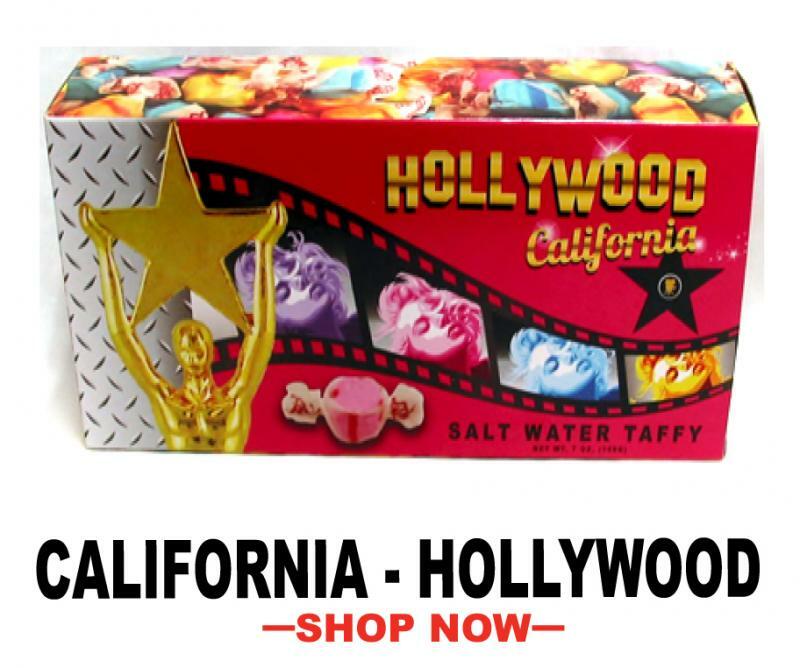 Hang Ten and ride the wave with our exclusive line of California Surfer Sweets. 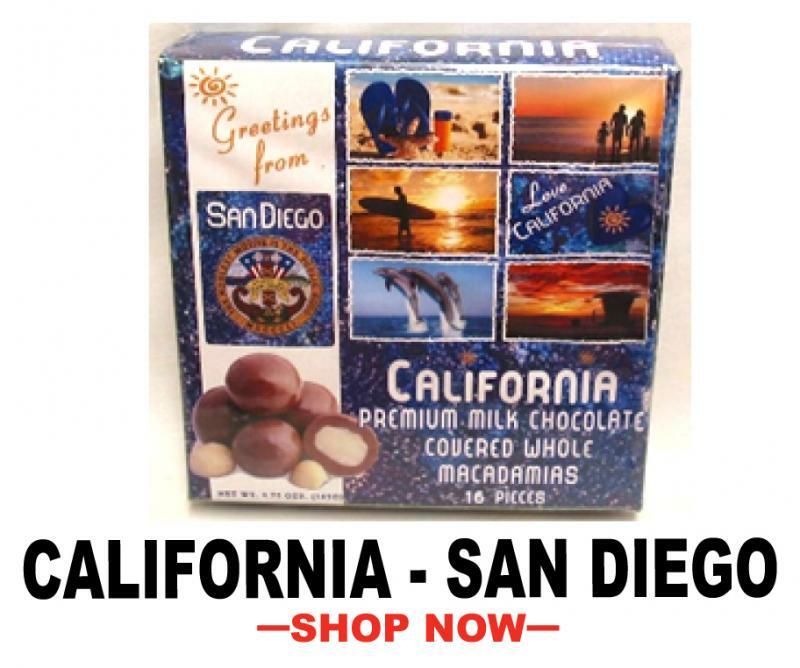 Featuring beach and surfer artwork, these gourmet sweets are perfect for any true surfer! 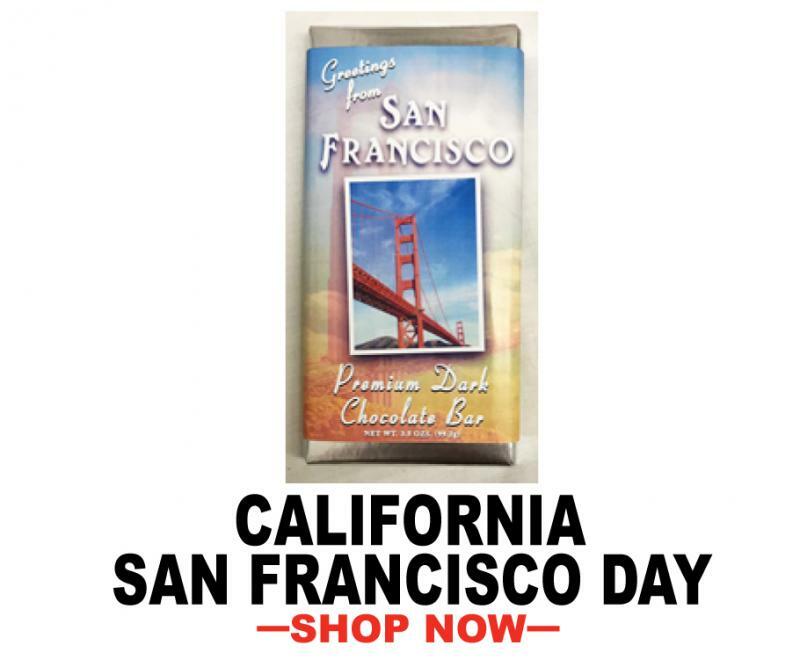 The breathtaking view from The Golden Gate Bridge, browsing at the farmer's market at The Ferry Building, or visiting the San Francisco Zoo are just a few of the wonderful things the Day-Life of San Fran has to offer. 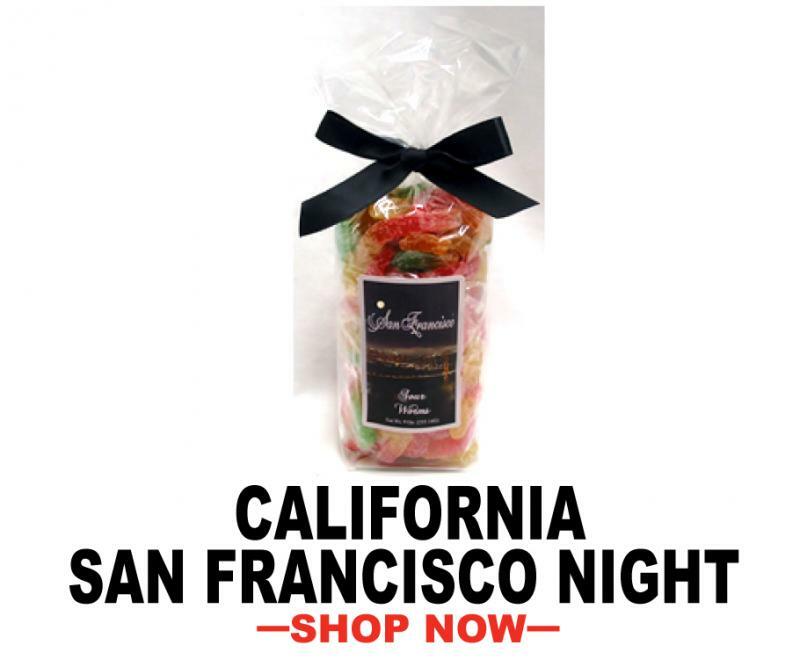 The perfect way to enjoy the experience even more, is with our signature line of San Francisco Day Sweets! Cincinnati is a bustling city full of activity and offerings for both visitors and residents alike. 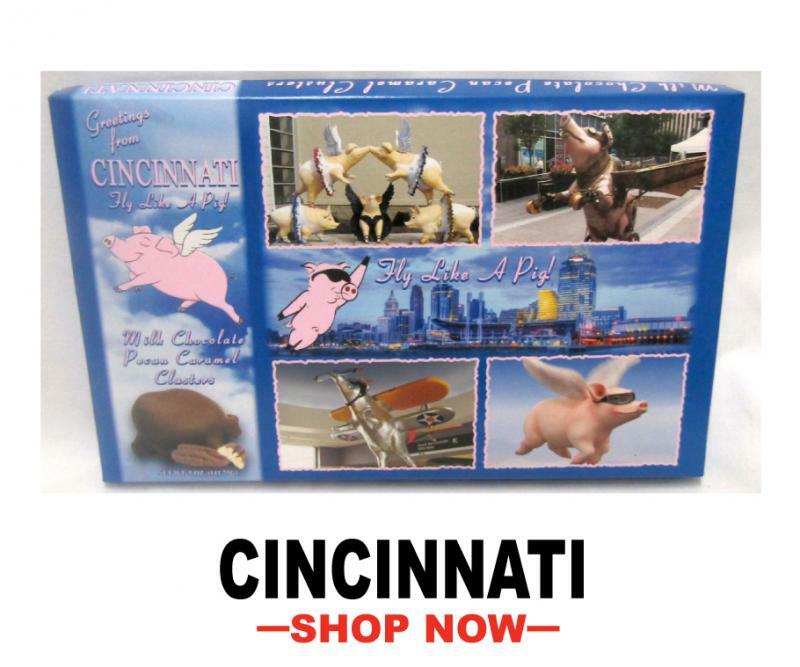 Our signature line of Cincinnati sweets are a prefect way to enjoy the time spent in this wonderful city. Steeped in German heritage, and offering some amazing attractions, Cincinnati is a city that isn't easily forgotten. Just like our sweets! 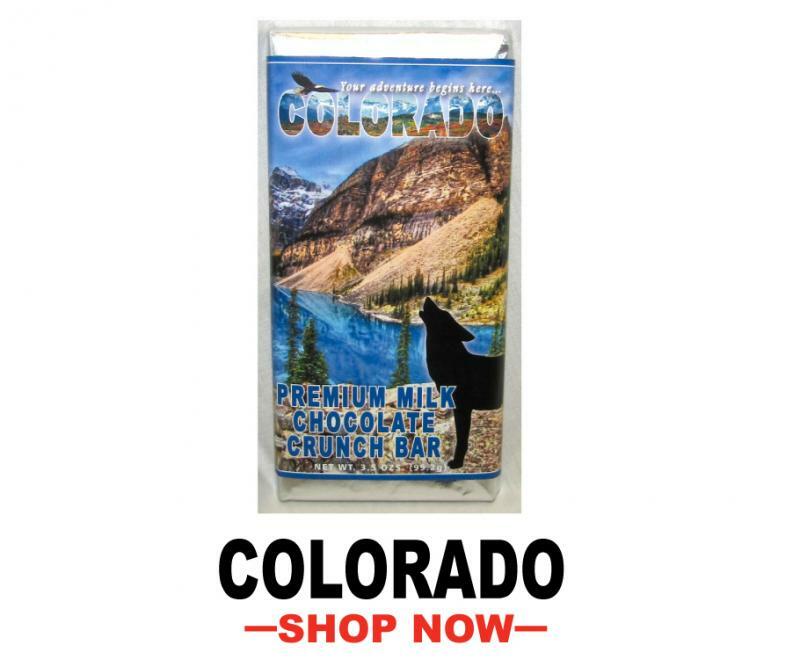 Navigating the mountain roads, attending a music festival, or taking a dip in the hot springs at Strawberry Park... our exclusive line of Colorado sweets are the best way for anyone to take their Colorado trip up a notch. 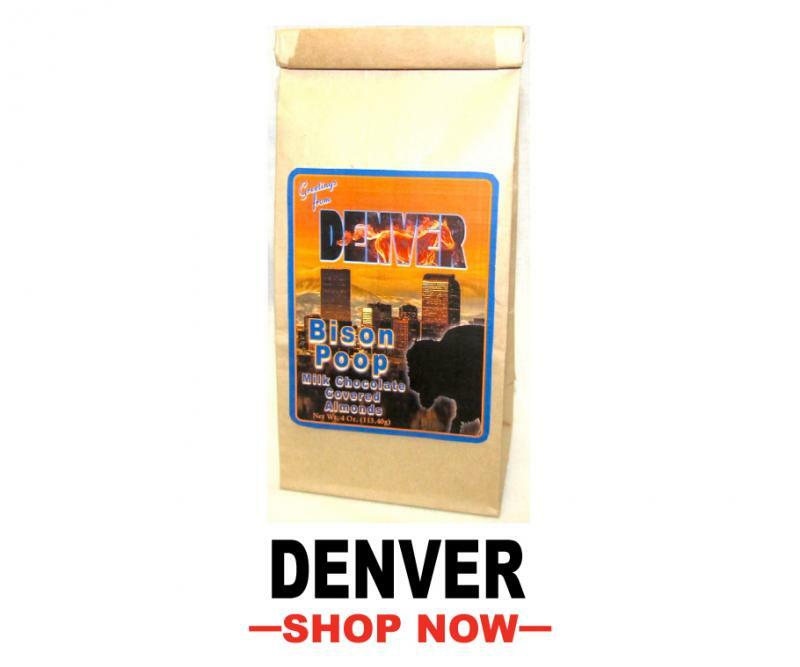 Our Souvenir line is the perfect way for residents and visitors alike to take a piece of their time in Colorado, and savor it just a little longer! 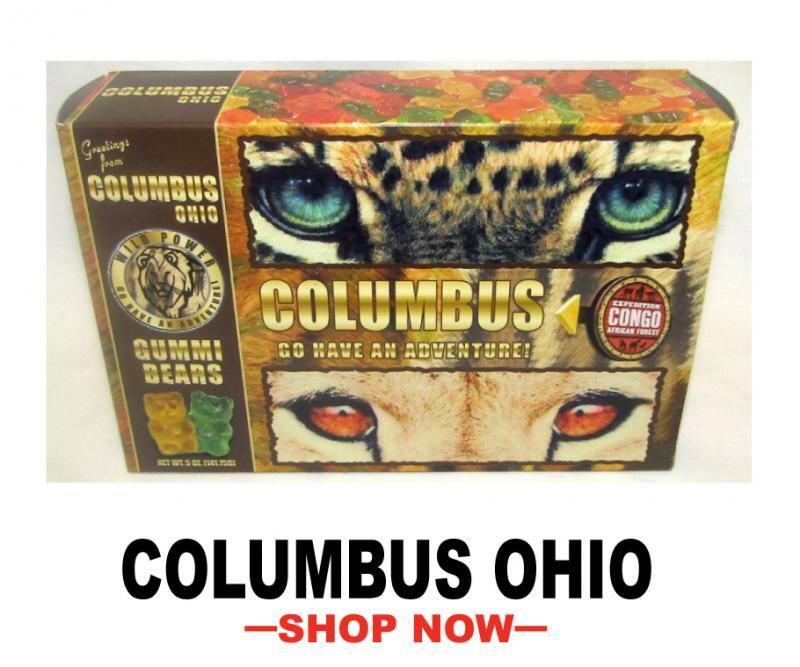 Columbus Ohio is one of the most active major cities in the U.S. With it's amazing Zoo & Aquarium, the epic shopping experience at The North Market, & More... A visit to Columbus is a great reason to enjoy a Signature Columbus Ohio Sweet. Home to the Wright Brothers' true first testing ground for their planes, and the museum of the U.S. Air-force, Dayton is steeped in amazing history, and culture. 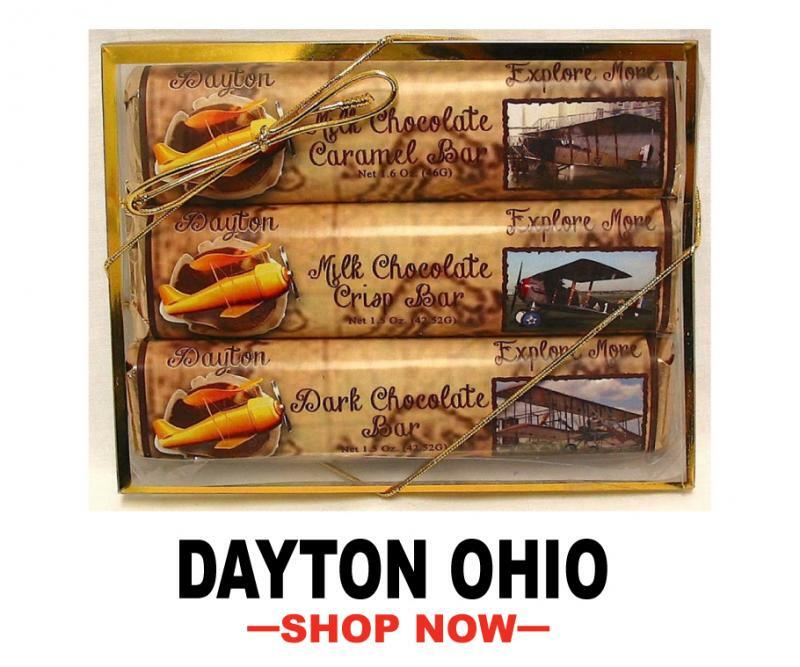 Our line of Signature Dayton Sweets are perfect for any trip to the area! Families visiting the aquarium are sure to enjoy the tranquility and majesty of observing marine life. 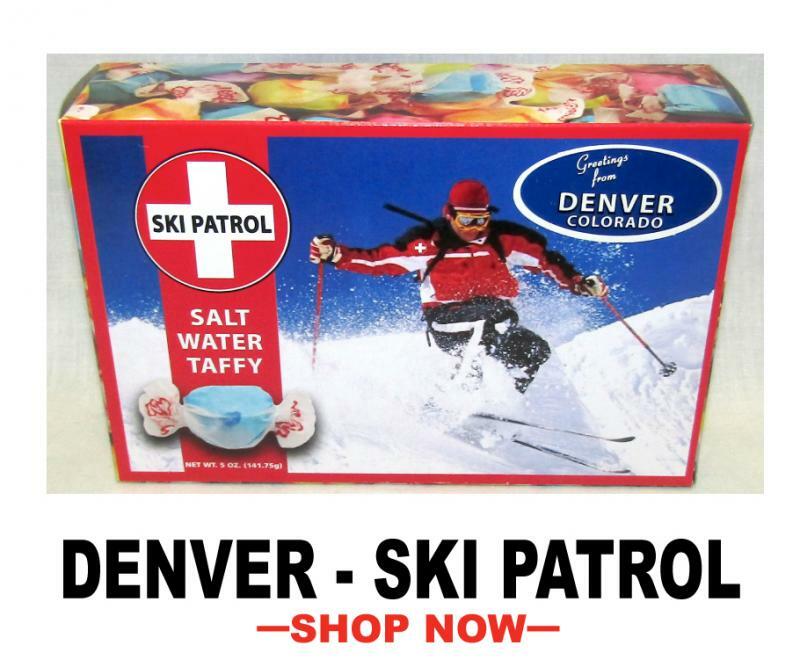 Our delectable line of Aquarium Sweets are a great way to enhance any experience. Our delicious products are sure to go over swimmingly with every customer! Detroit is well known for it's cars and Motown, but that's not all the city has given the world. 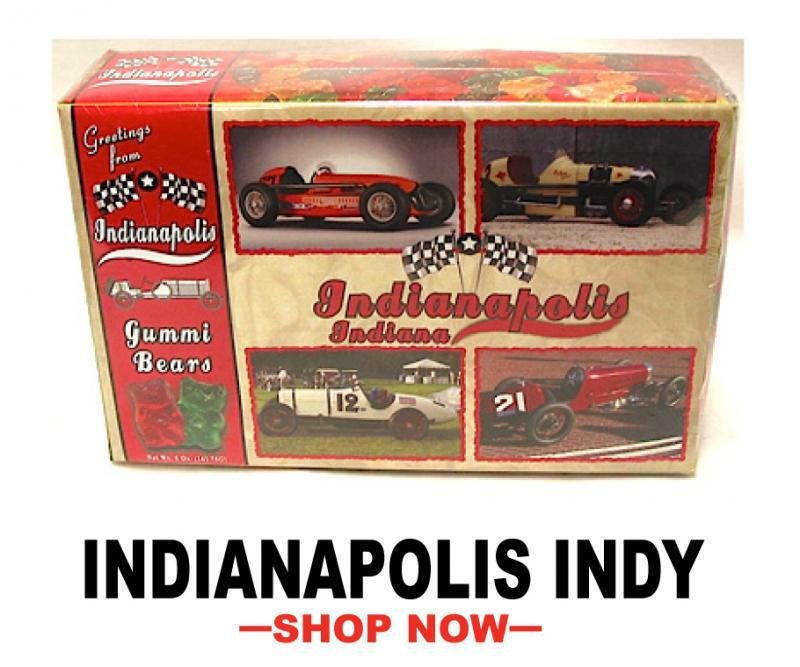 Innovators, artists, and amazing history has come straight from motor city itself. 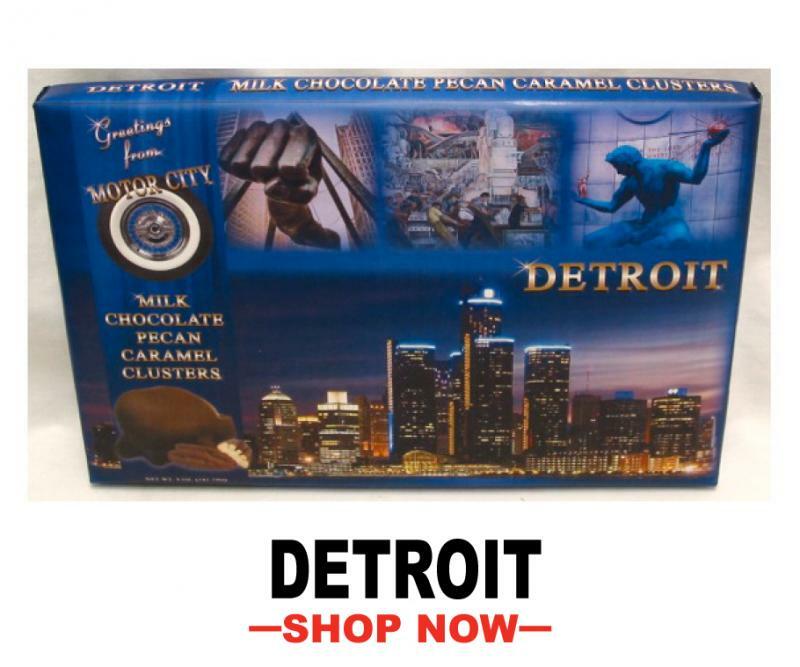 Sample the night-life of detroit with our signature line of Detroit Sweets. Known as "The Venice Of America" for it's many waterways, and the countless parks, attractions, and amazing scenery in Fort Lauderdale... it's a place you won't soon forget. 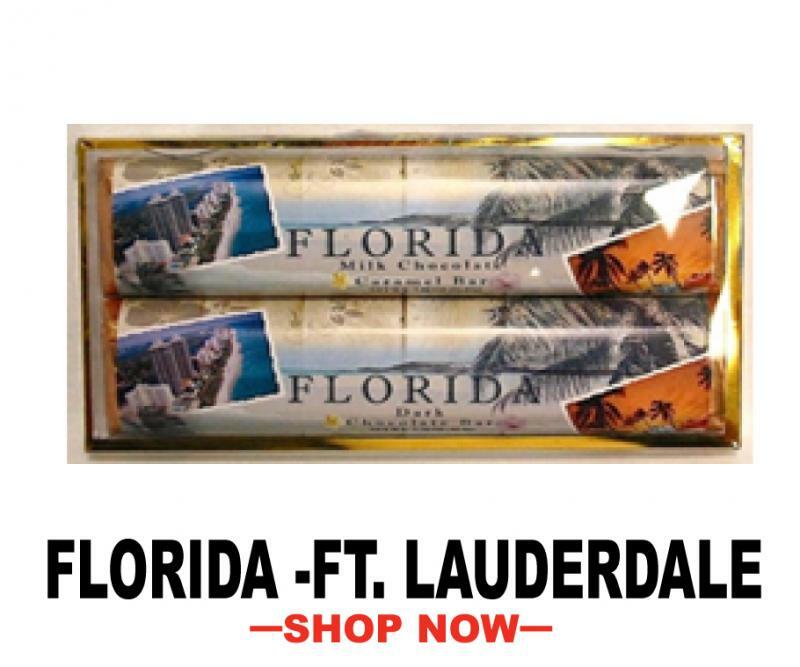 Send someone the feeling of Fort Lauderdale with our exclusive line of Fort Lauderdale sweets and chocolates! The wild-life of Florida is as unique as the state itself. 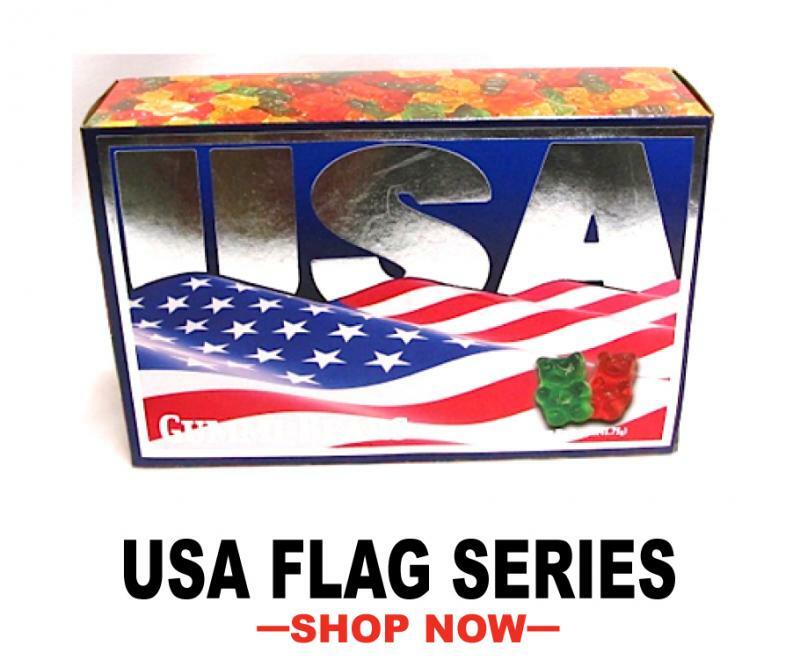 Our line of novelty Florida sweets is sure to bring a smile to the recipients face. 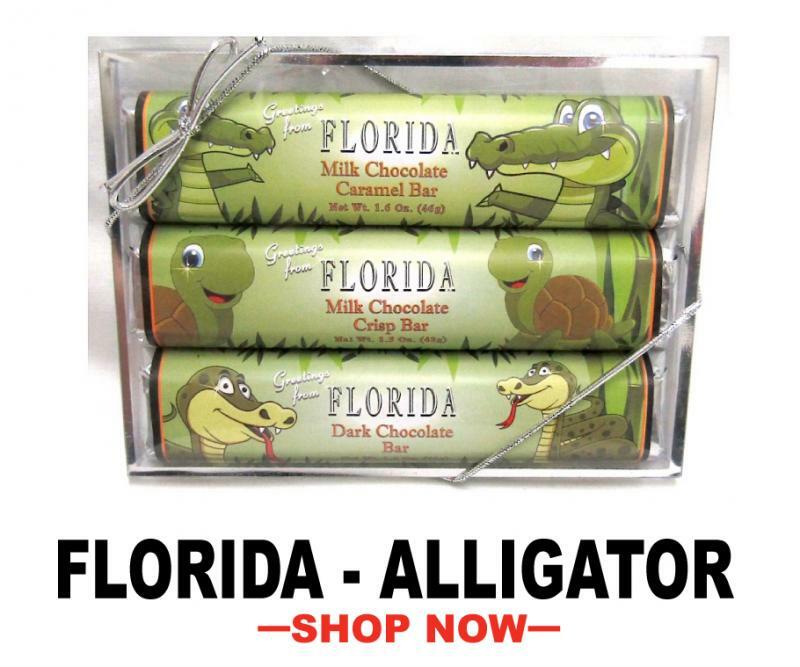 Capture the essence of Florida Alligators with our Exclusive line of Sweets! Miami is a stunning place! With mild weather, ocean setting, and extensive resort facilities and activities... it is one of the leading destination cities in the world. 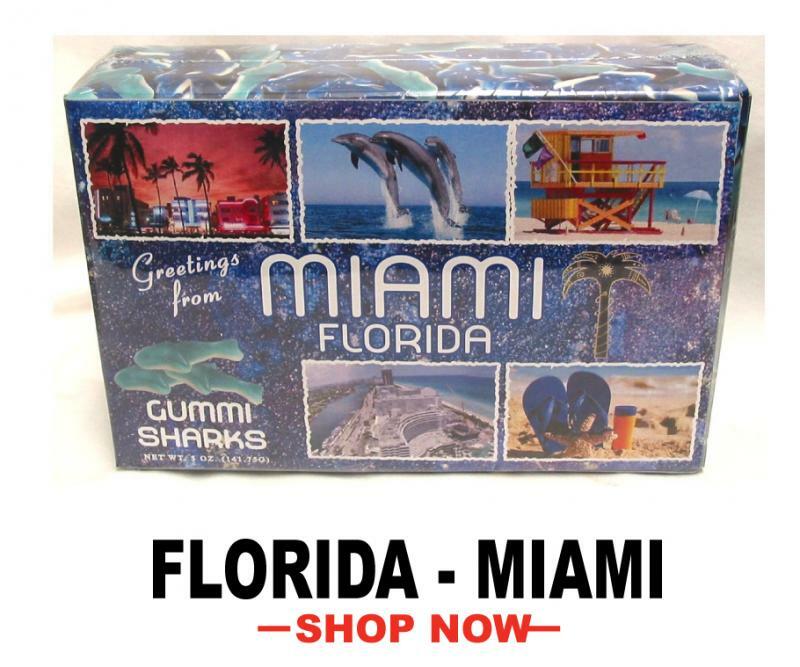 Enjoy the magic of Miami with our exclusive line of Miami Sweets! "I'll get you my pretty... and you're little SWEETS TOO!" 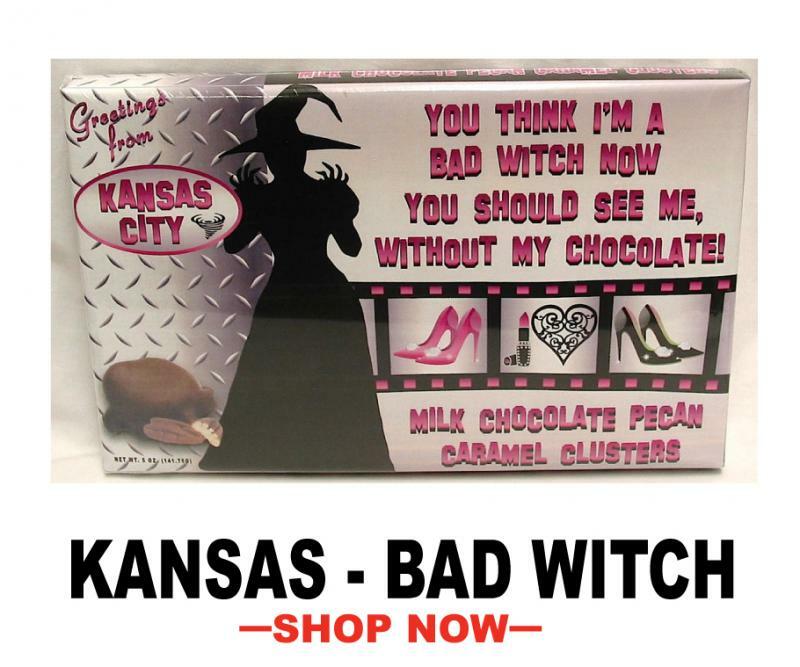 Our Kansas City Bad Witch sweets are perfect for any Wizard of Oz lover, or visitor to the wonderful state of Kansas. Try some today! 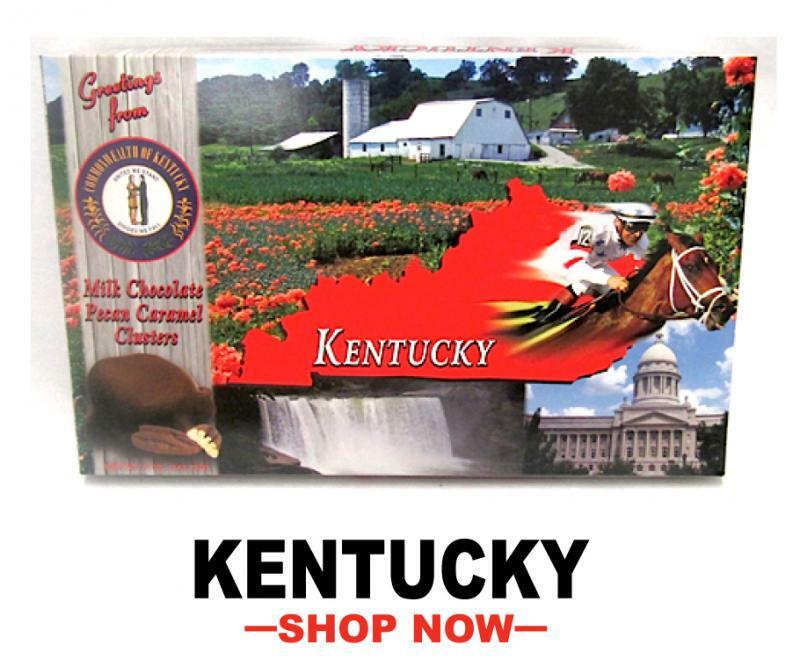 Whether you're just visiting Kentucky or passing through, bring home a sweet momento including gummy bears, chocolates and so much more! THE BRIGHTEST CITY ON EARTH! 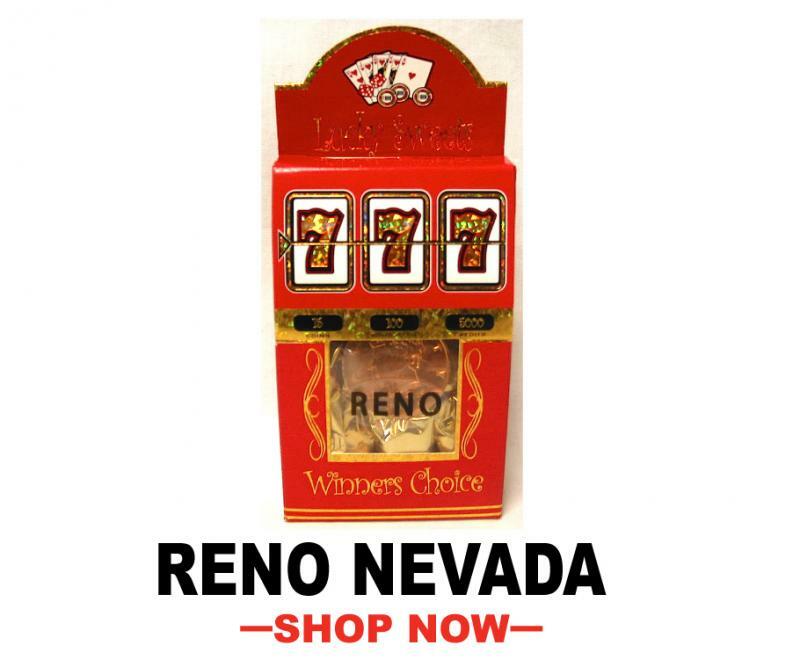 Night life, bright lights, music, casinos, activity throughout the night and more! You name it, Las Vegas has it. 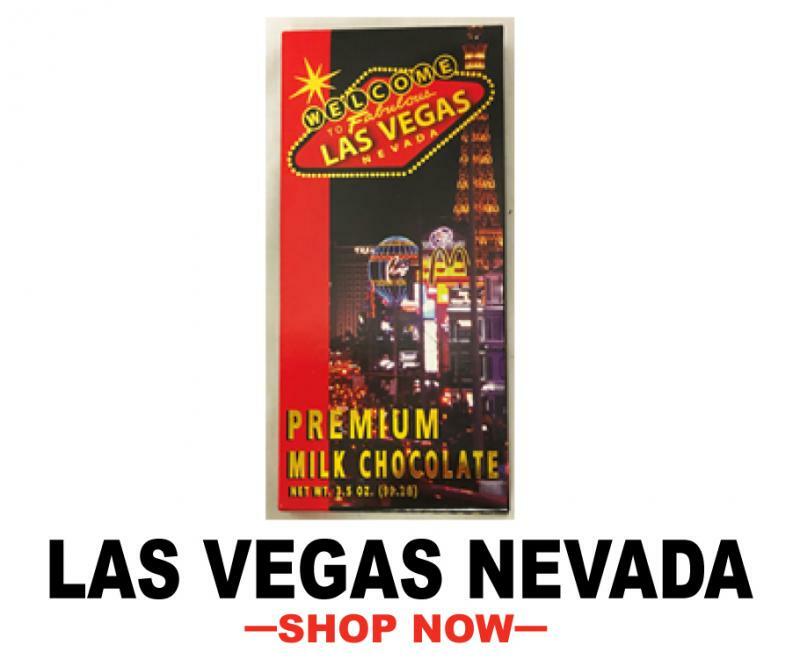 Our signature line of Las Vegas sweets are a perfect way for ANYONE to remember the wonderful memories of Vegas! Beautiful scenery and a clean environment make Missouri stand out among all other destinations. Springfield works hard to maintain it's environment and standard of upkeep throughout! 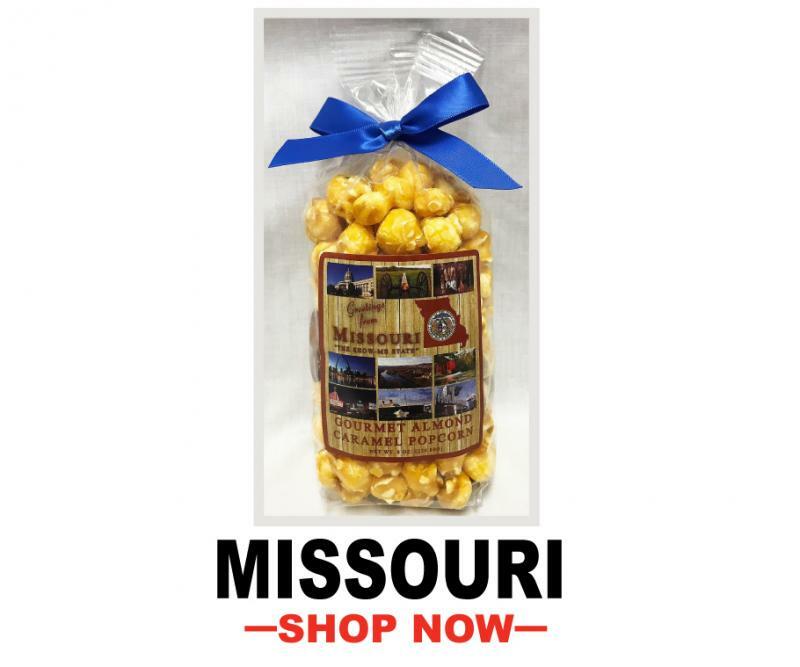 Enjoy our line of Signature Missouri sweets today! North Carolina has 1,500 lakes of 10 acres or more in size and 37,000 miles of fresh water streams. Along with it's rich environmental beauties, North Carolina is also home to some amazing innovators! 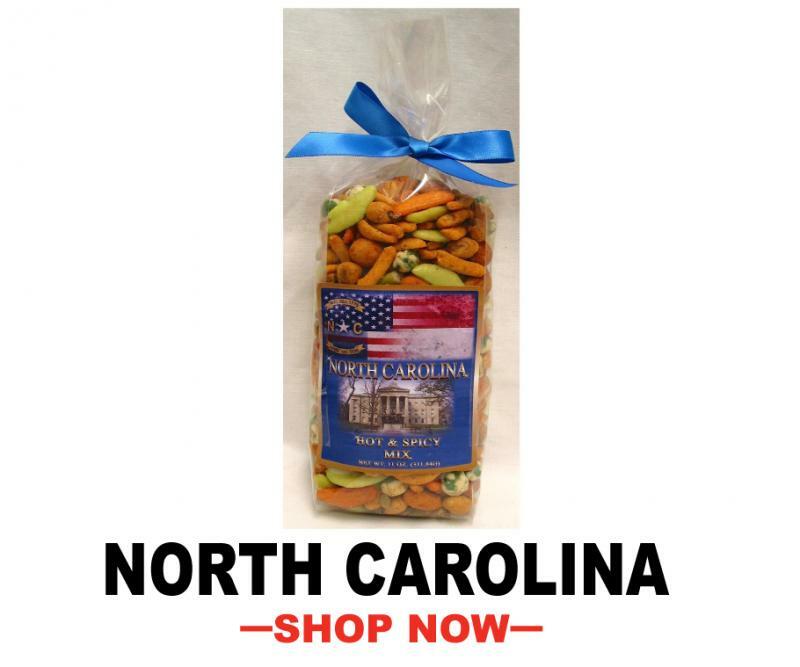 Celebrate the amazing heritage of North Carolina with our signature line of gourmet sweets. 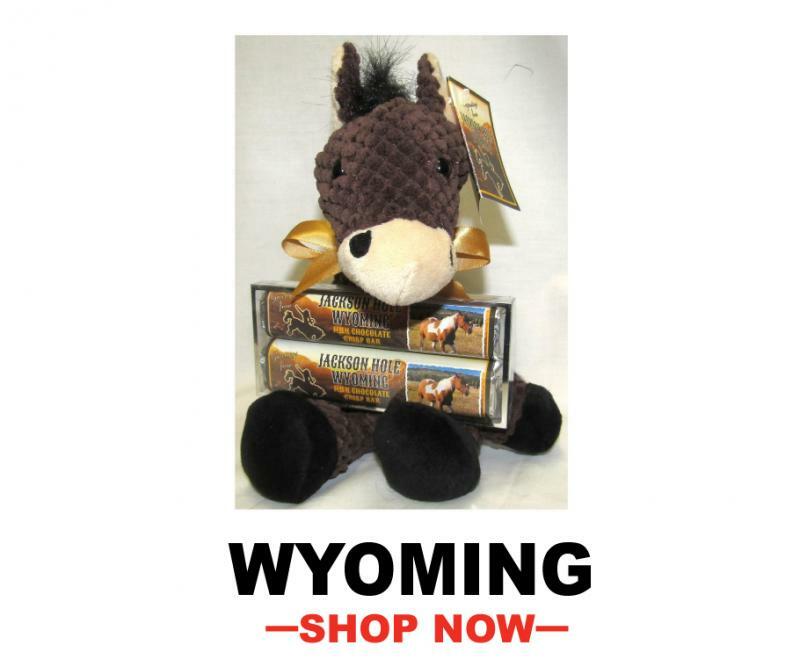 "The Sooner State" is home to a rich heritage and history, as well as amazing wild-life. 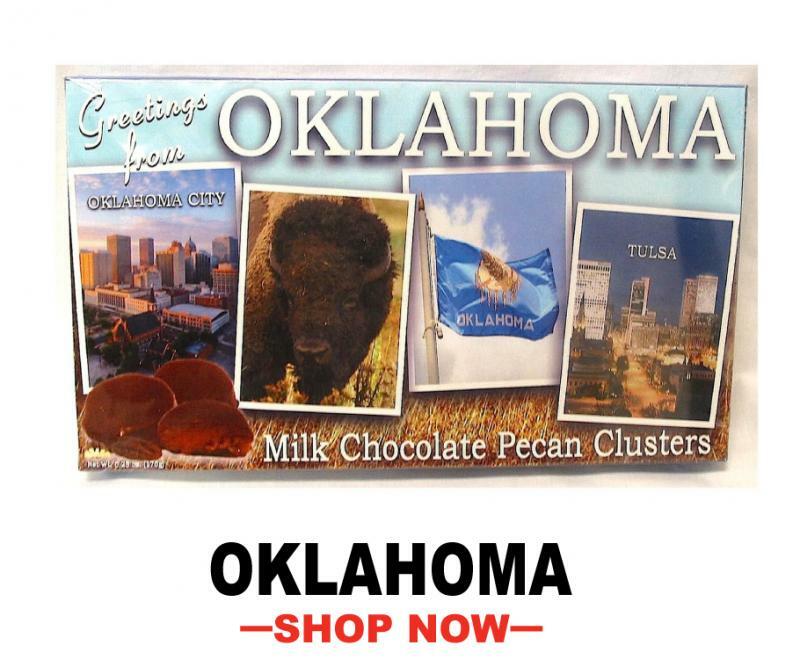 Enjoy the ambient atmosphere of this amazing place and extend the memories with our signature line of Oklahoma sweets! From Gene Kelly to Michael Keaton to Christina Aguilera, many famous people have ties to "The City of Bridges"! Pittsburgh has a lot to offer, from it's rolling hills to the beautiful metro areas. 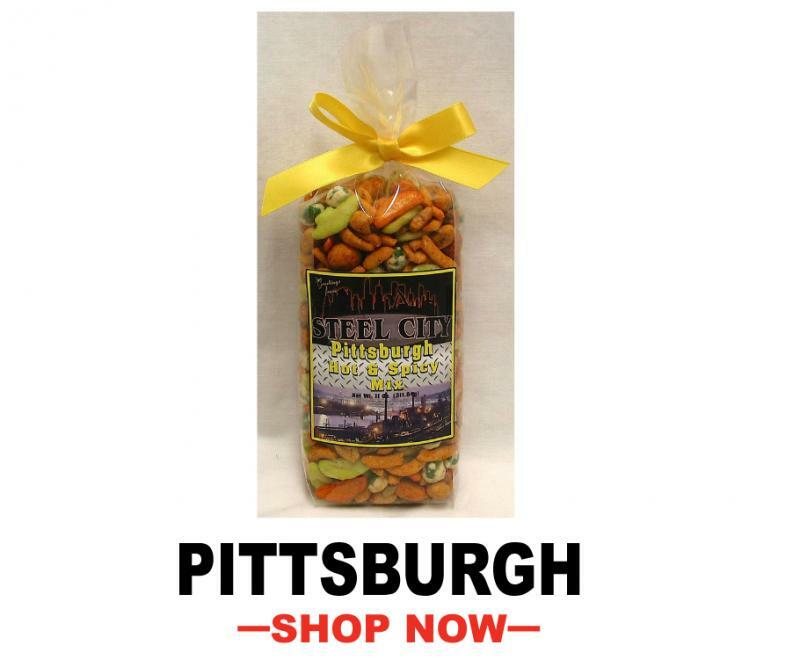 Capture the feeling of Pittsburgh with our signature line of exclusive Pittsburgh Sweets! Portland is nicknamed the âCity of Rosesâ or âRose City"... and for good reason. The natural beauty and serenity of this destination is unparalleled. 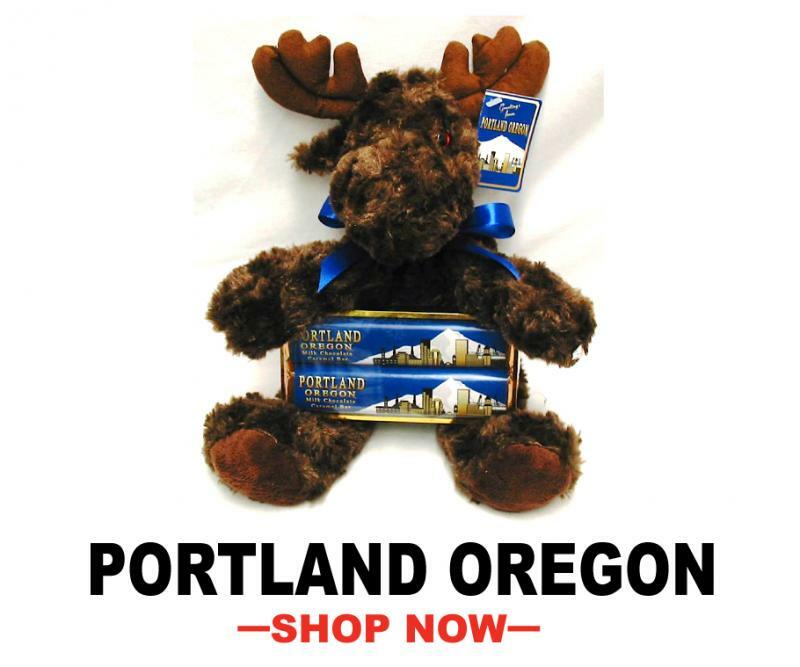 With so much to offer any visitor or resident, Portland is an amazing place! 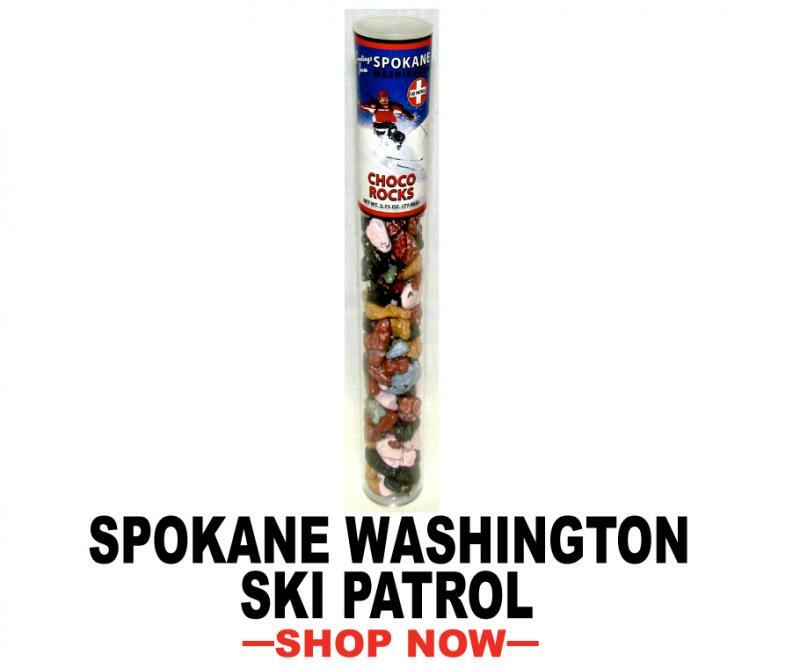 Enjoy the time here with our signature line of Portland Oregon sweets. Home of The Beale Street Blues, Nashville (The Music City), Graceland, and The Grand Ole Opry... Tennessee is vibrant with a rich musical heritage. 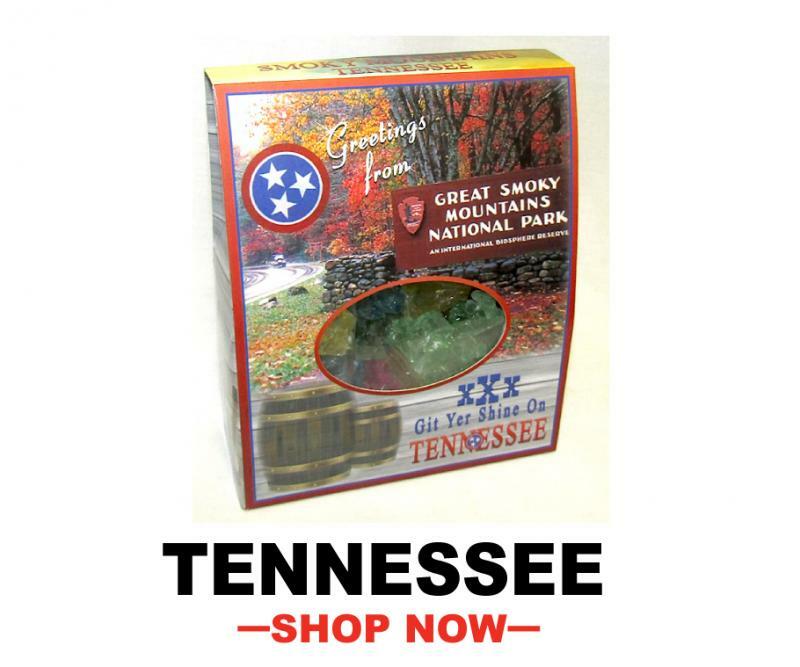 Our signature line of Tennessee sweets are a perfect way to commemorate a trip to this amazing destination! The Dallas-Fort Worth Arlington Metroplex is the No. 1 visitor and leisure destination in Texas. Dallas is also home to the largest urban art district in the United States! Dallas has so much to offer, the possibilities are endless. 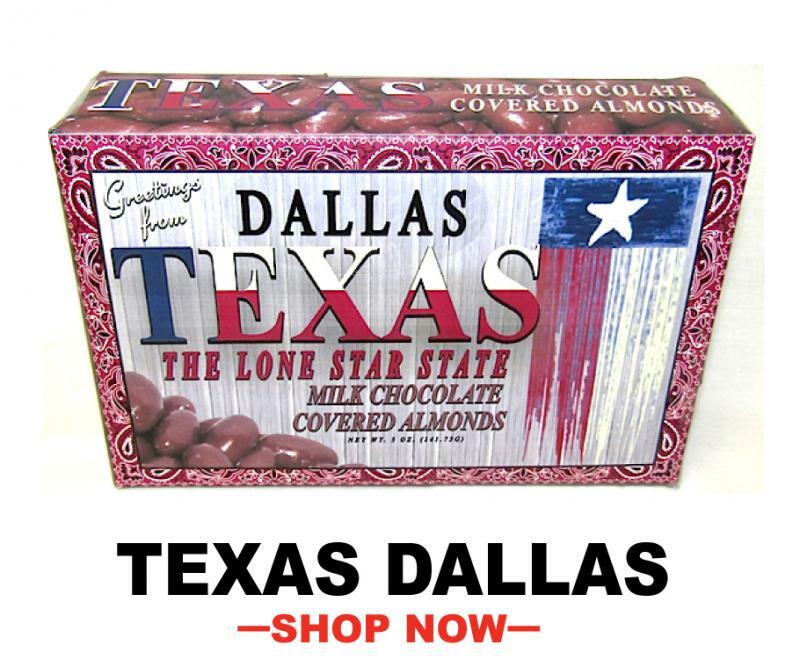 Our exclusive line of Dallas Texas sweets are a great way to celebrate the rich culture in this southern city! 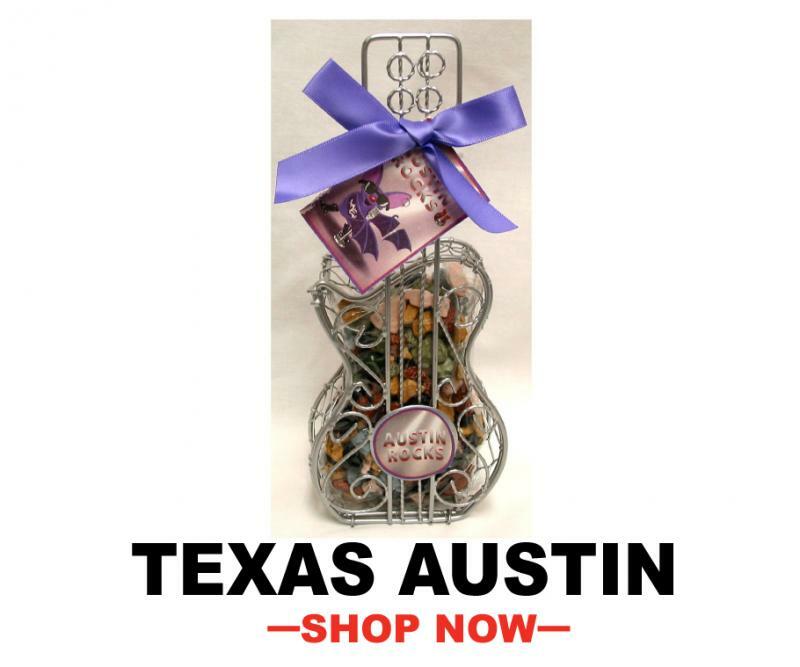 They say everything's bigger and better and Texas and that's no less true when it comes to our Texas themed sweets! 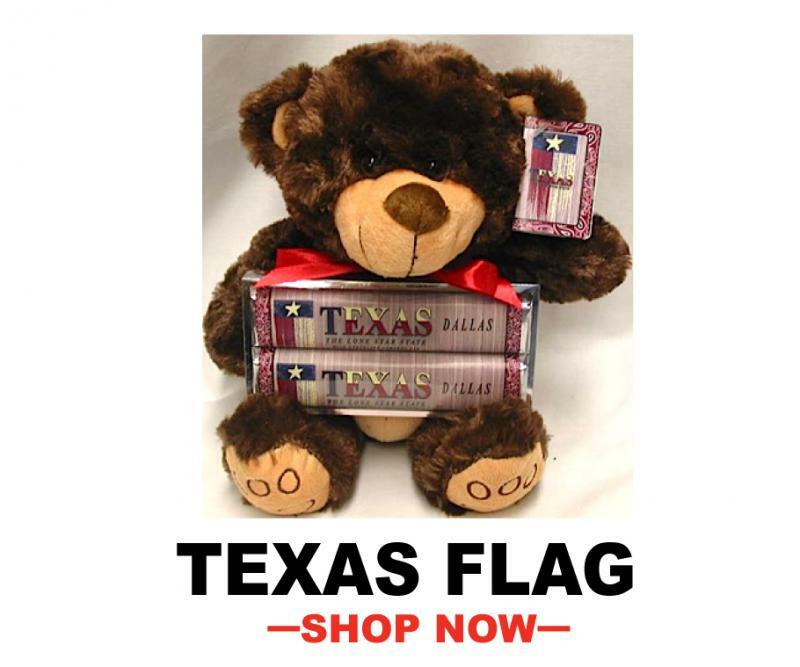 Enjoy chocolates and other decadent candy that reflects the fun of the Texas flag! Houston is the fourth most populous city in the nation (trailing only New York, Los Angeles and Chicago), and is the largest in the southern U.S. and Texas. 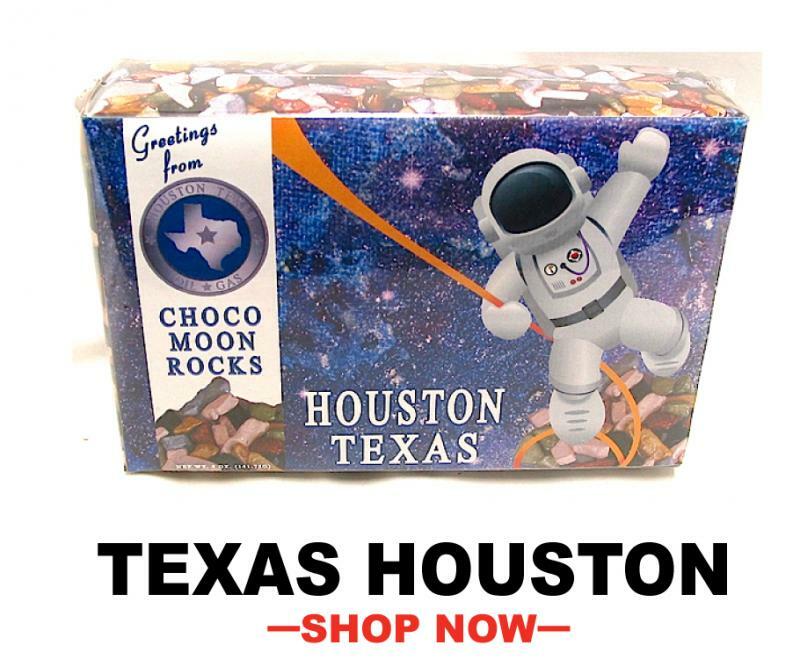 This southern destination has a lot to offer, and our exclusive line of Houston Sweets are the perfect way to capture the heritage of Houston! San Antonio is the most visited city in Texas, and home to the most visited ATTRACTION in all of Texas. 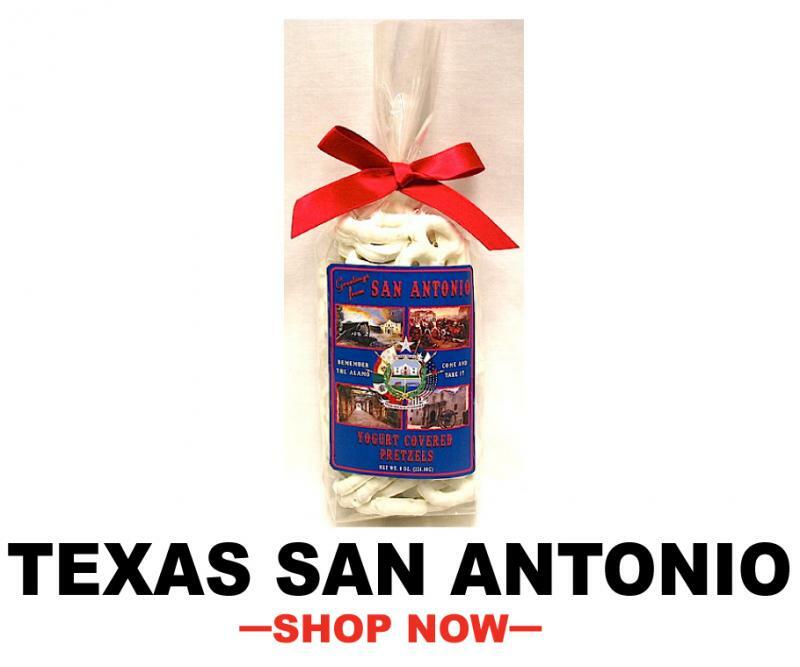 The Alamo is rarely forgotten, just like our signature line of San Antonio Sweets. With 34 miles of white sandy beaches, and vibrant blue water... South Padre Island is Texas' highest rated beach! 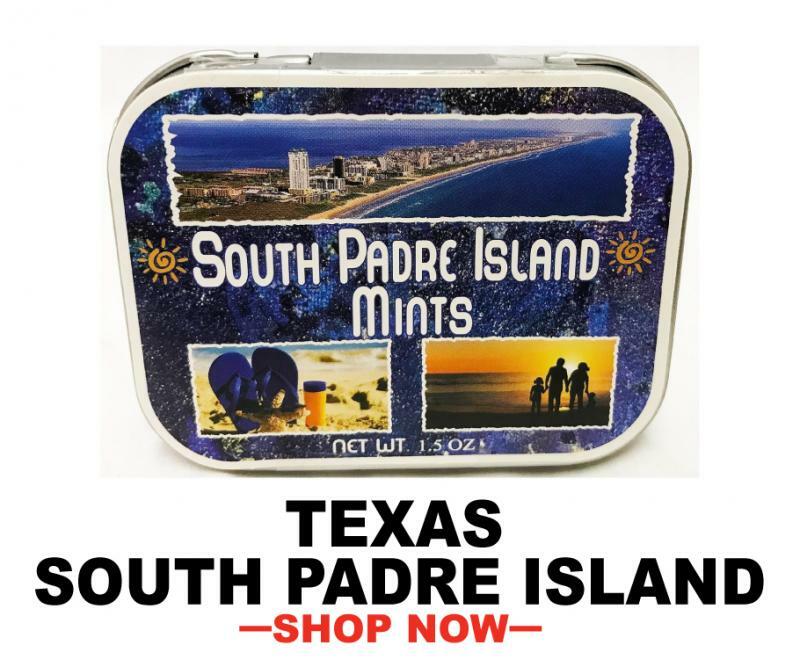 Offering diverse wild-life, and numerous attractions... our South Padre Island Gourmet Sweets are a perfect addition to a trip to this subtropical destination. 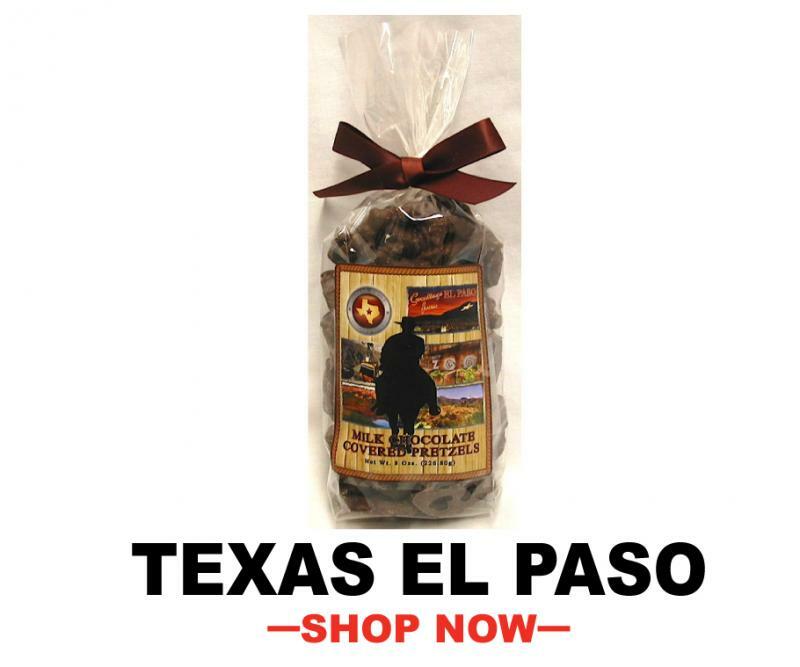 Our signature line of Texas Western sweets are an amazing way to capture the southern atmosphere of Texas. 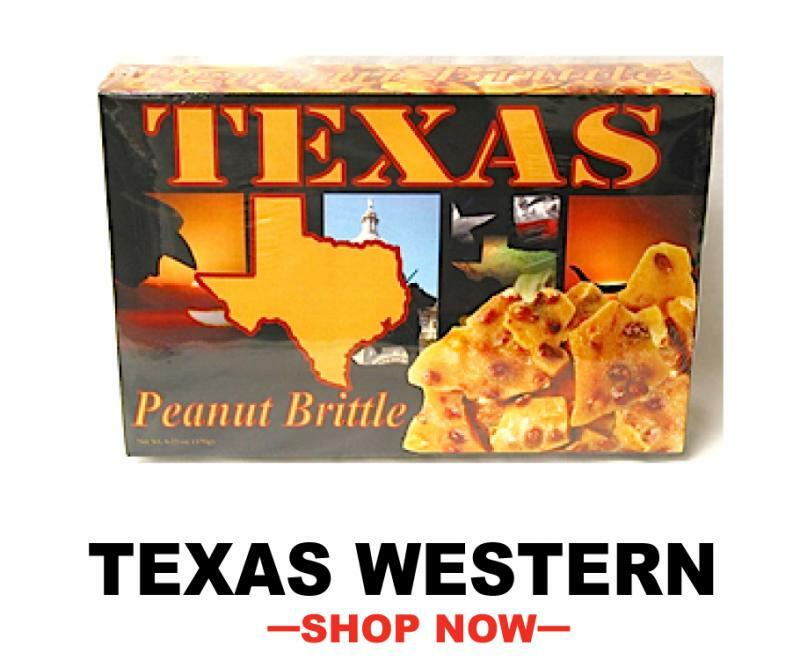 With a wide selection of gourmet treats... Our Texas-Western Sweets simply have no parallel. 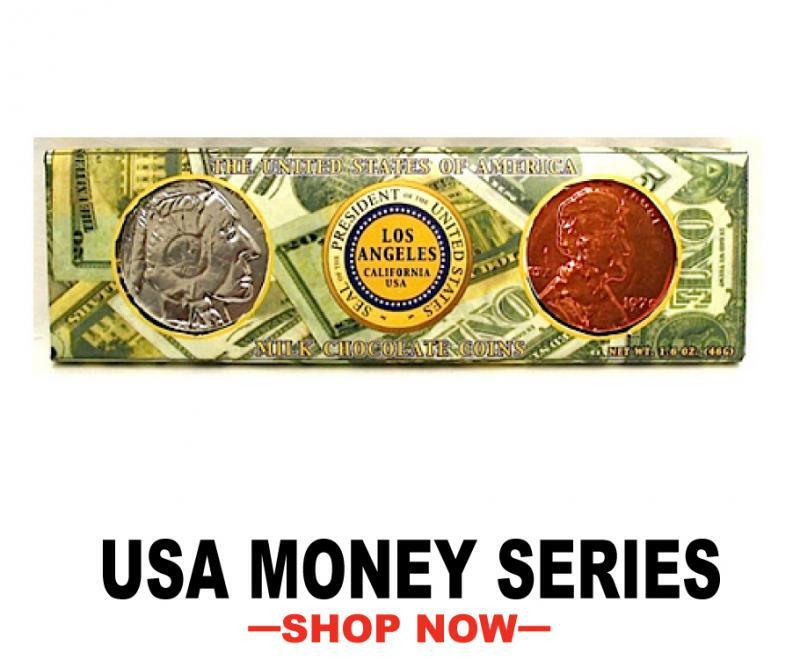 Money makes the world go round! 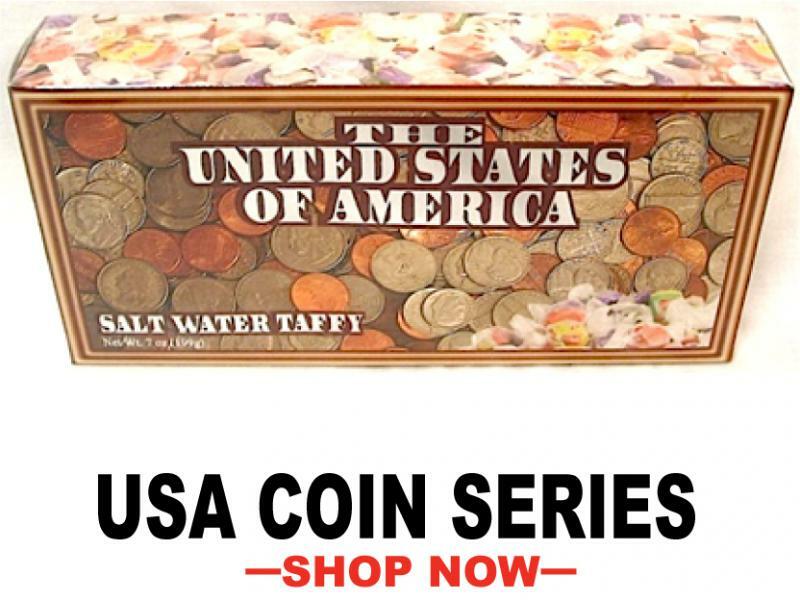 Our signature line of U.S.A. Money Sweets are an excellent novelty to celebrate the currency of the U.S. 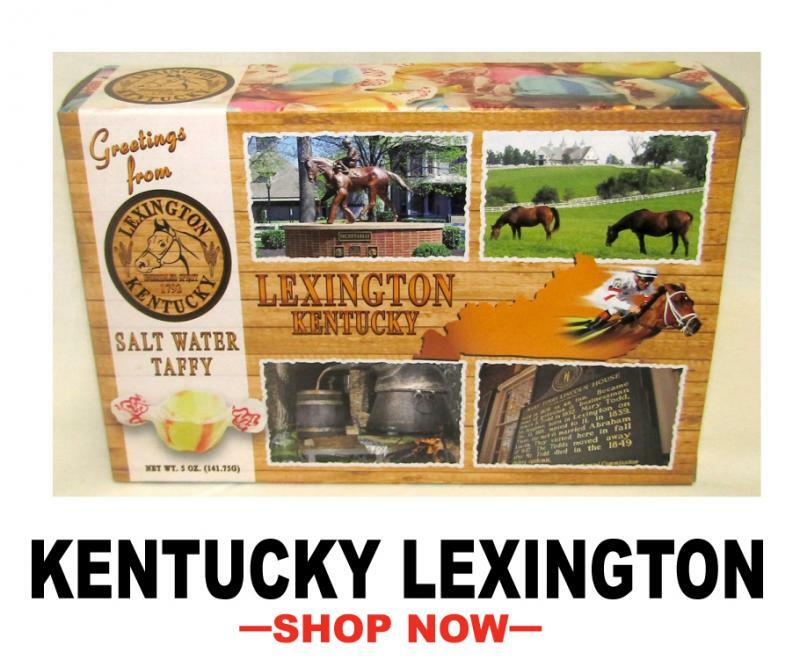 Try some today, and place your order with us!